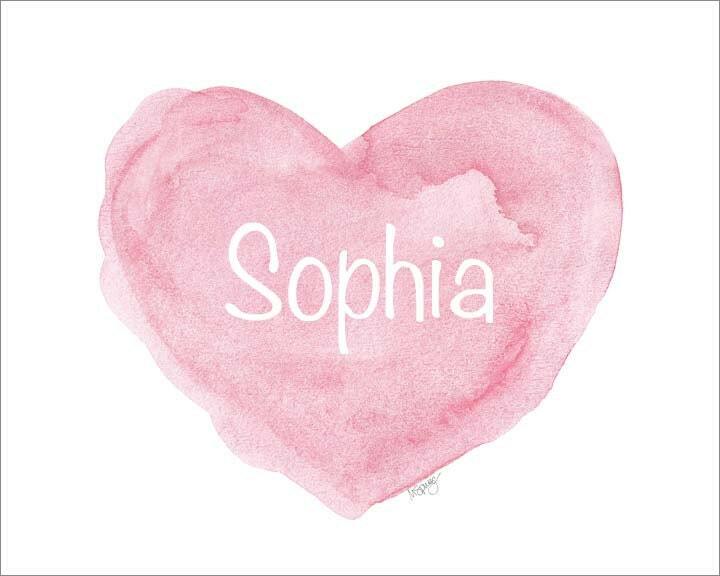 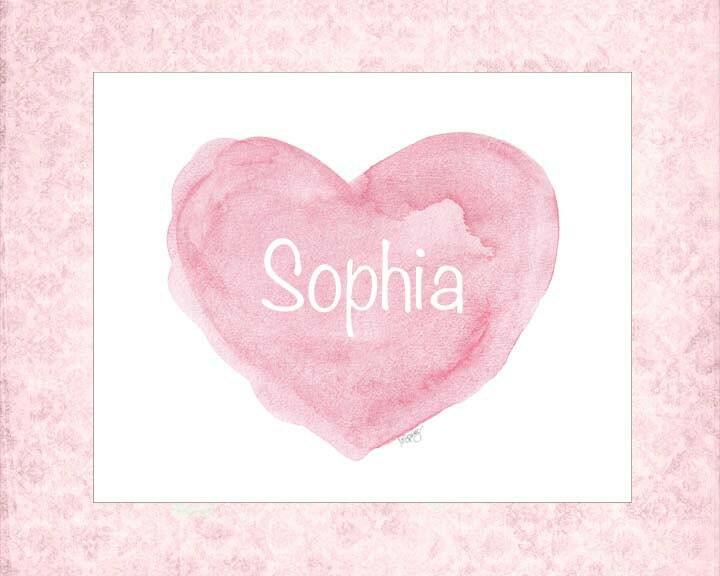 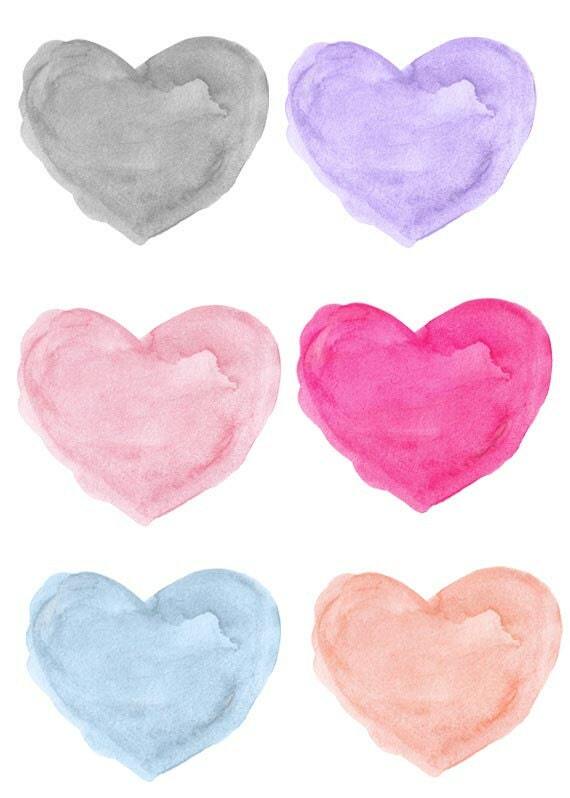 Personalize my most popular pink watercolor heart print with your special name in a horizontal 8x10 art print. 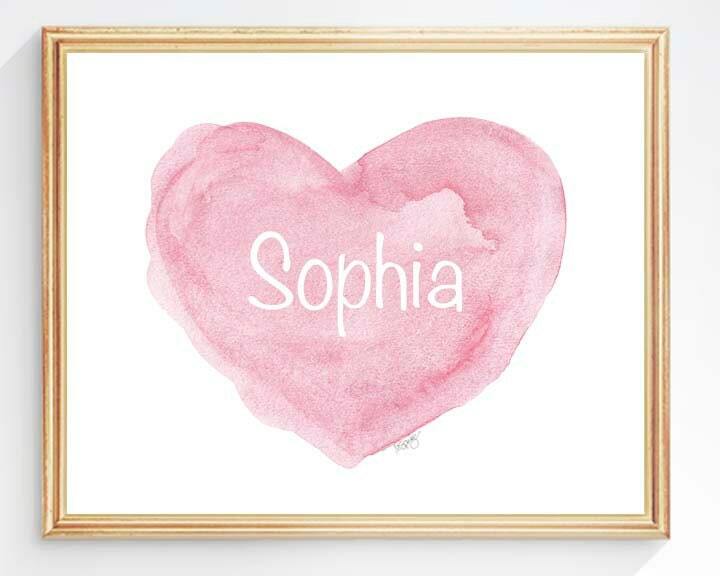 Lovely for a shower gift, baptism, or to welcome a new baby into the world. 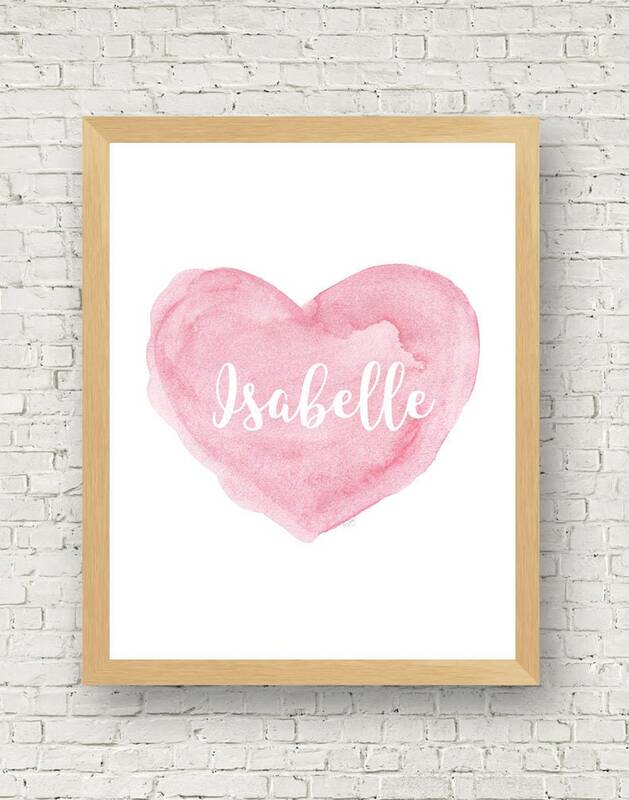 Block or Script lettering available.Please include the name in notes to seller at checkout. 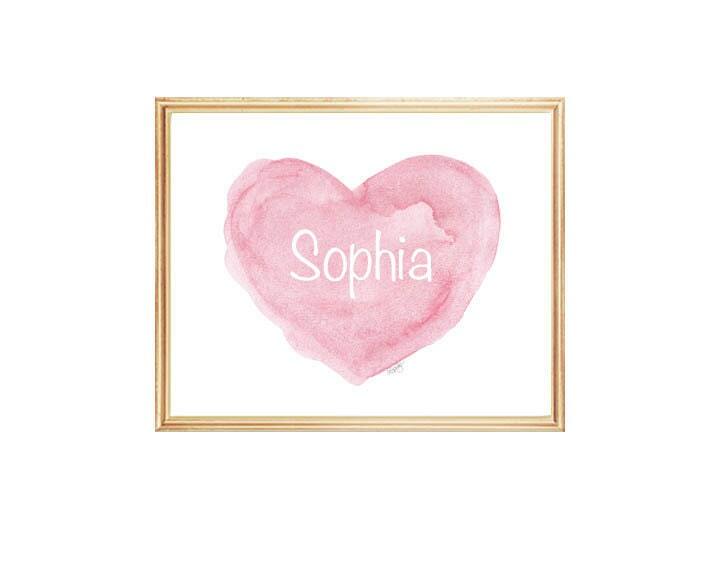 Fits perfectly in a standard 8x10 frame.